For some of us, really getting outside means getting on the water. Whether your fix is found in a canoe, a stand-up paddleboard, or a sea kayak, there's nothing like leaving the shore behind, plunging a paddle in, and following your own course. Paddlers in the West have some of the world's most scenic opportunities at their doorstep, as well. High mountain lakes can provide placid tranquility and alpine views that will have you swooning; unique coastlines mean incredible sea caves, sea stacks, and archipelagos that are ripe for a lifetime of exploration; and abundant urban waterways keep paddling a viable option for those looking for a quick nature fix in the midst of the city. Even a short escape on the water can transform your day and is well worth the effort. Of course, the multi-day excursions are really where the opportunity awaits; depending on your vessel, you may have a weight capacity that can easily support an extended journey of island hopping in the San Juans or some freshwater lake or river camping. And you may be able to bring a few luxuries that don’t quite make the weight limit when you’re backpacking, such as a great camera set-up to capture your moments in the wild. Any wish list of paddle destinations in the West is going to be long, but here area few that should definitely be part of yours. For additional ideas, you can see a longer list of flat water paddling adventures on Outdoor Project here. For a sea kayaker, this archipelago is a wonderland of opportunity. Touring around these islands by water offers visitors a chance to loose the land-based crowds that inundate the islands in the summer. With unforgettable landscapes, amazing wildlife viewing, and trips for paddlers of all levels, the San Juan Islands are a must. 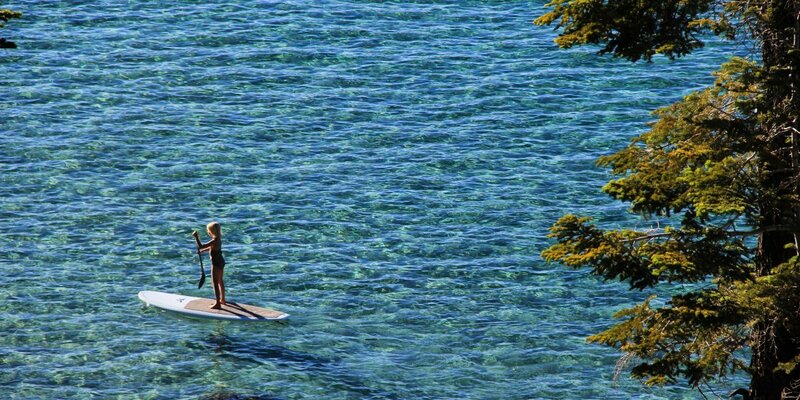 Stand-up paddleboarding on Lake Tahoe. Photo by Aron Bosworth. Whether you’re out for the day with a rod and some good luck or you’re loaded down with a tent and supplies, paddling at altitude is about as good as it gets. It’s hard to beat Lake Tahoe in terms of pulchritude, of course, but each range has its own gems. Check out Idaho’s Redfish Lake and Oregon’s Waldo Lake for starters. Longer trips on the San Juan River or the Green River are frequently the domain of rafters, but a small-and-light mindset can open these waterways to personal vessels as well. Mellow currents and straightforward rapids keep these rivers well within the capacities of an able paddleboarder, canoer, or kayaker. Labyrinth Canyon is a great stretch to consider, and rivers like the John Day offer only slightly more current and challenge. Mercer Slough. Photo by Tyler Yates. 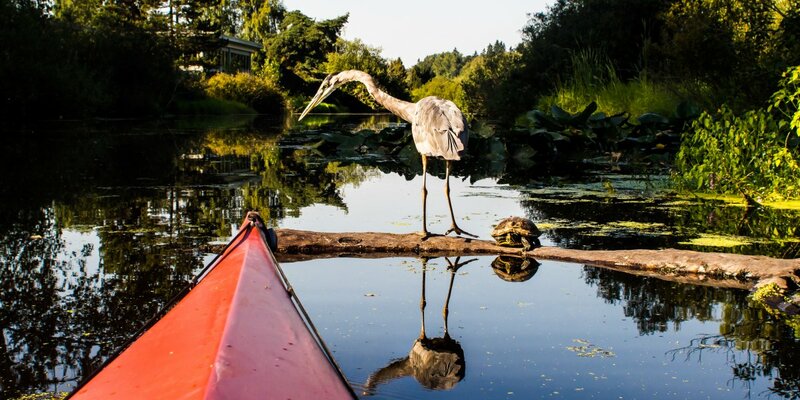 The depth an variety of easy trips from downtown Seattle are hard to believe, but have a look at the popular paddles to Mercer Slough, Mercer Island, or Vashon Island to start. Portland is no slouch, either, with both the Willamette and Columbia offering easy urban paddles.